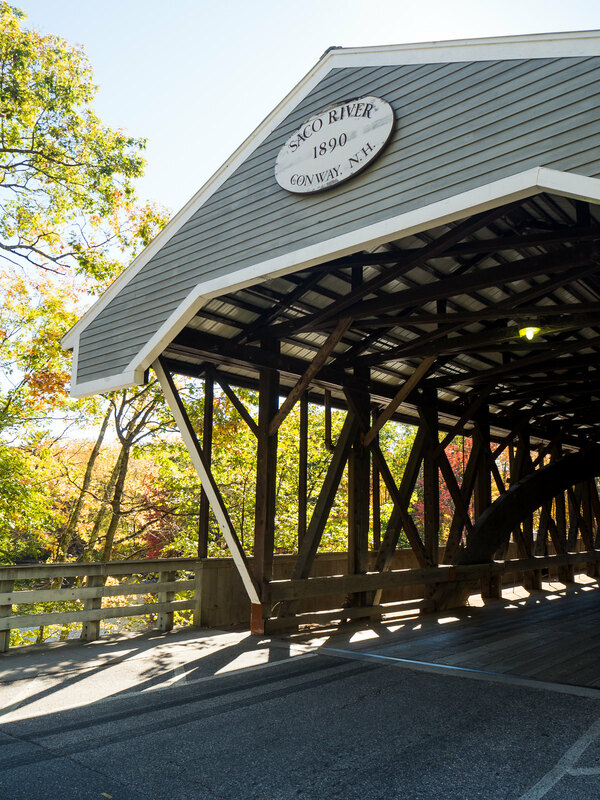 If you’ve been reading my blog for at least a year, you may remember I started posting about my trip to New England last autumn at the start of this year. Unfortunately life took a turn and I never ended up finishing the posts. 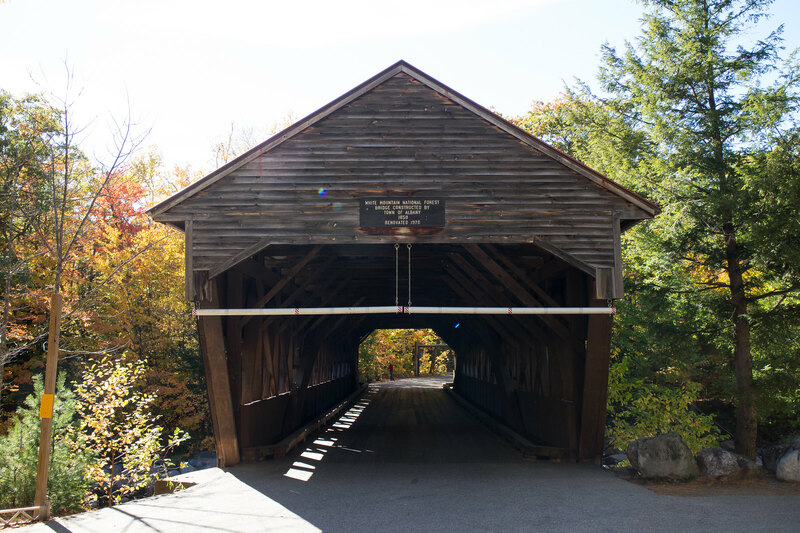 But New England had some of the most beautiful places I’ve ever seen and I really want to share the rest of the photos and memories from the trip. 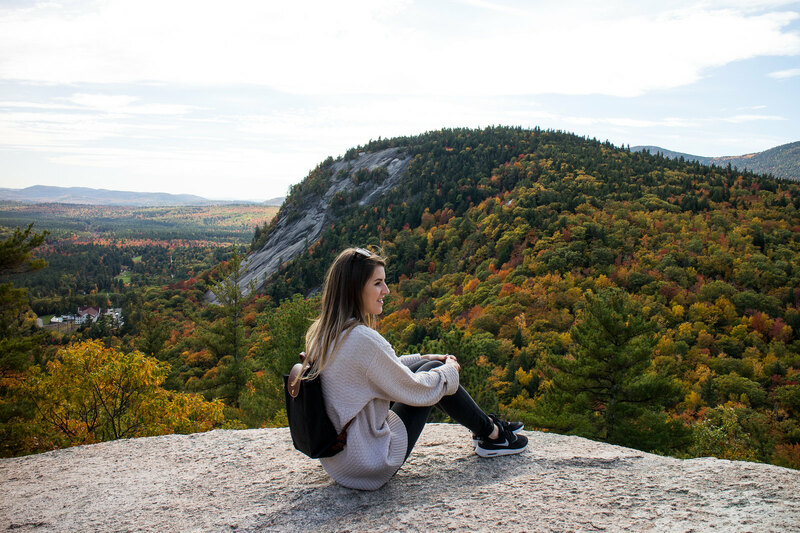 Seeing as autumn is now here and almost over, I thought it was the perfect time to finally finish telling you about the wonderful destinations we saw. 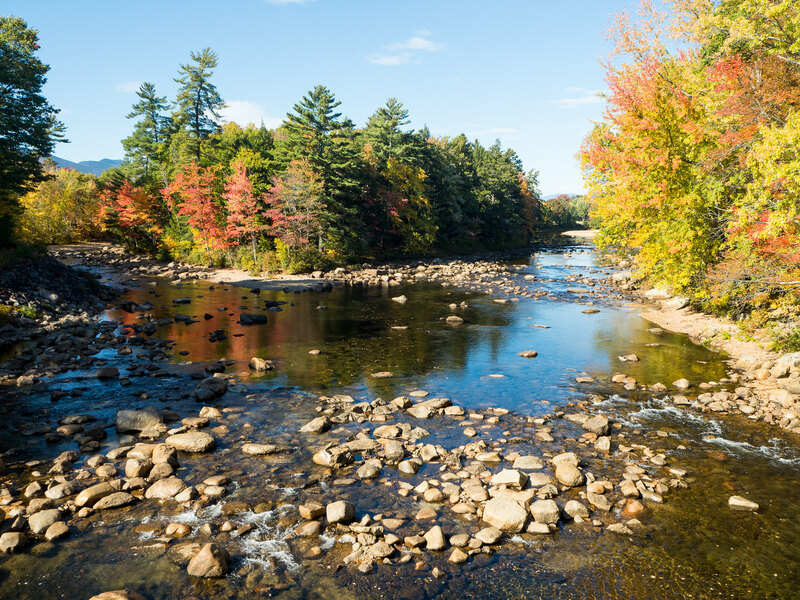 Starting off with North Conway, New Hampshire. 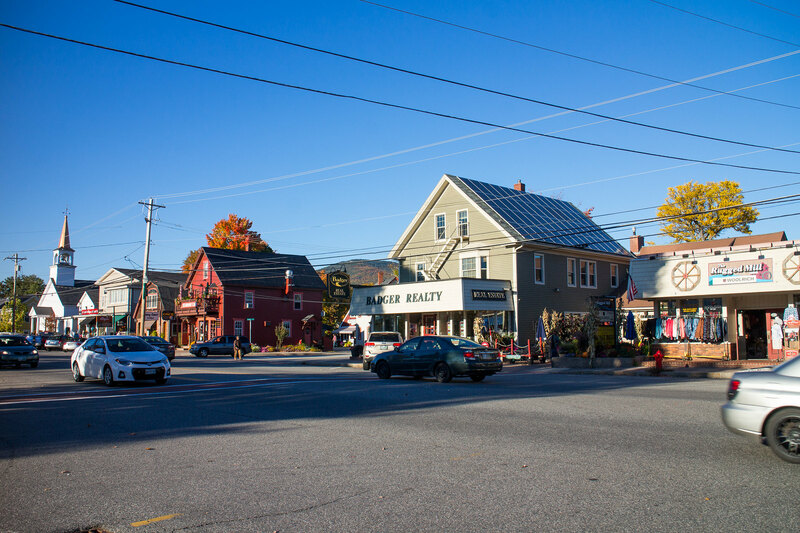 North Conway is a town nestled in the White Mountains area of New Hampshire, and we had one main reason for being there. 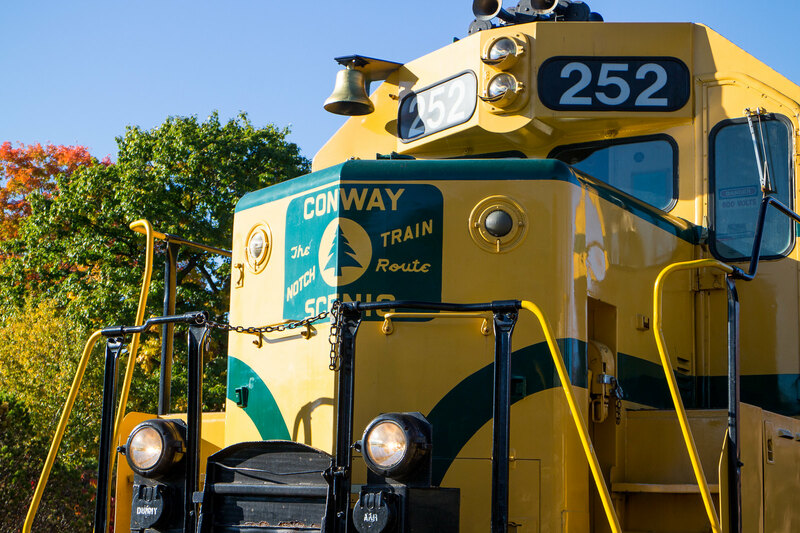 The Conway Scenic Railroad. While we were in town we couldn’t help but have a nosy at a few of the little shops along the main street. 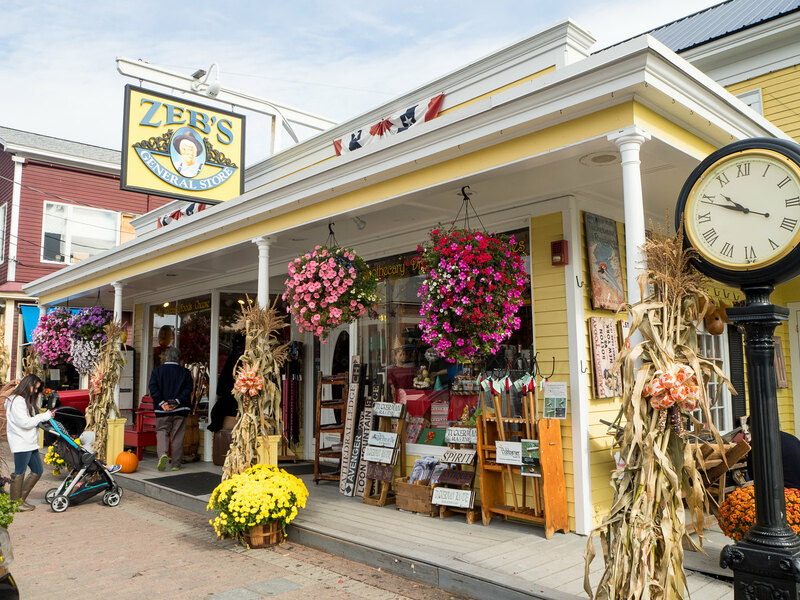 My personal favourite was Zeb’s General Store, a veritable treasure trove of food and other goodies. 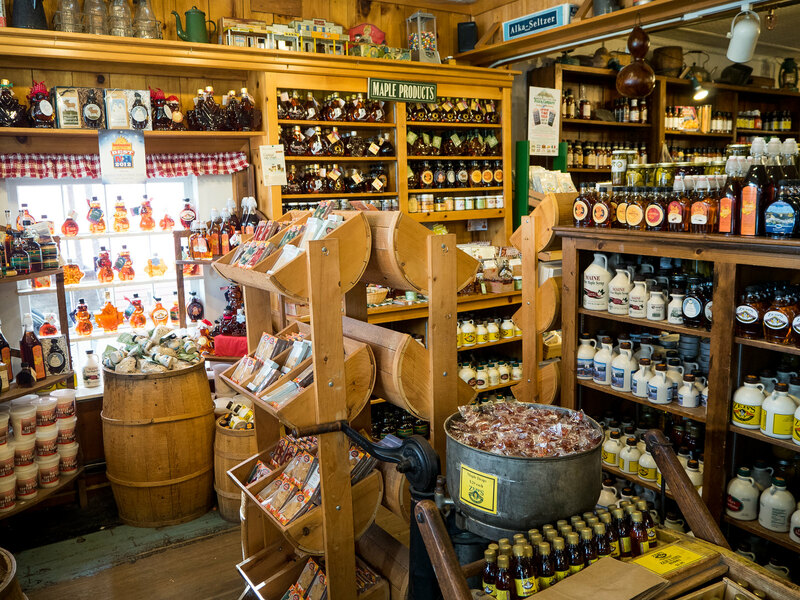 Just look at all that maple syrup! But onto the main event; the scenic railroad. Probably my favourite thing of the whole trip. 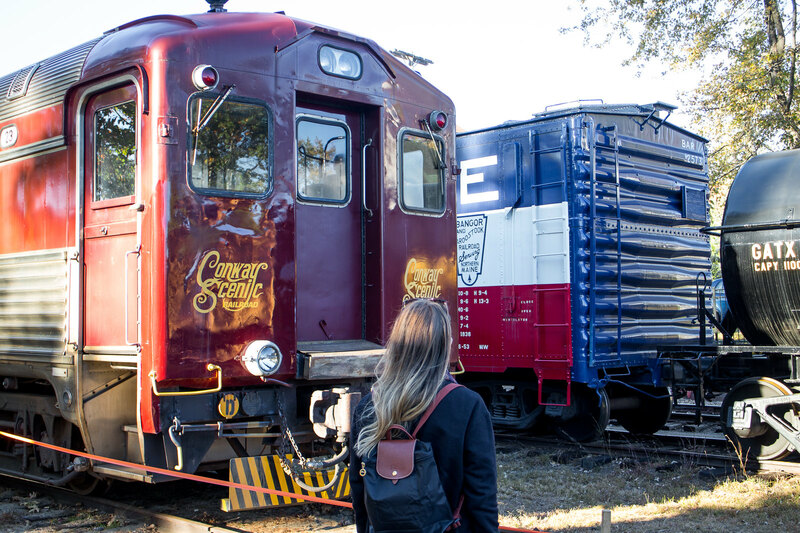 You begin by entering the classic train station and making your way to a huge burgundy train, surrounded by various other vintage trains, it was like stepping back in time. 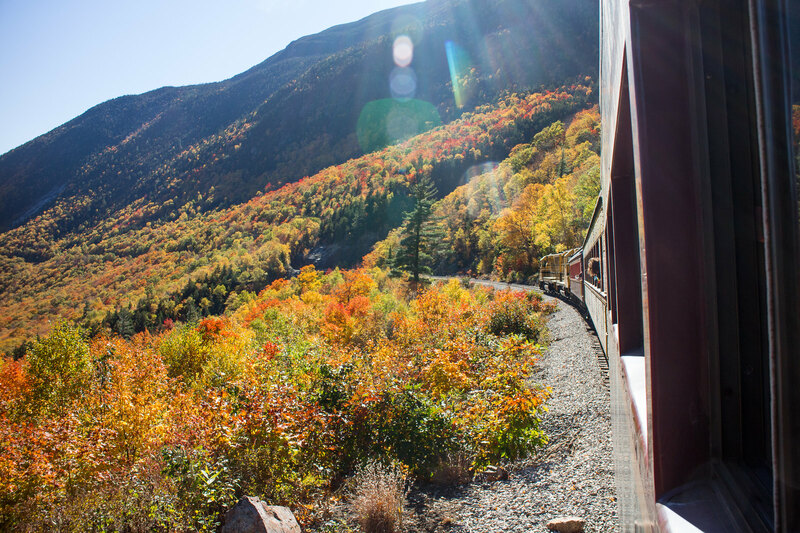 The journey we took was the Notch Train return from North Conway to Crawford Station. 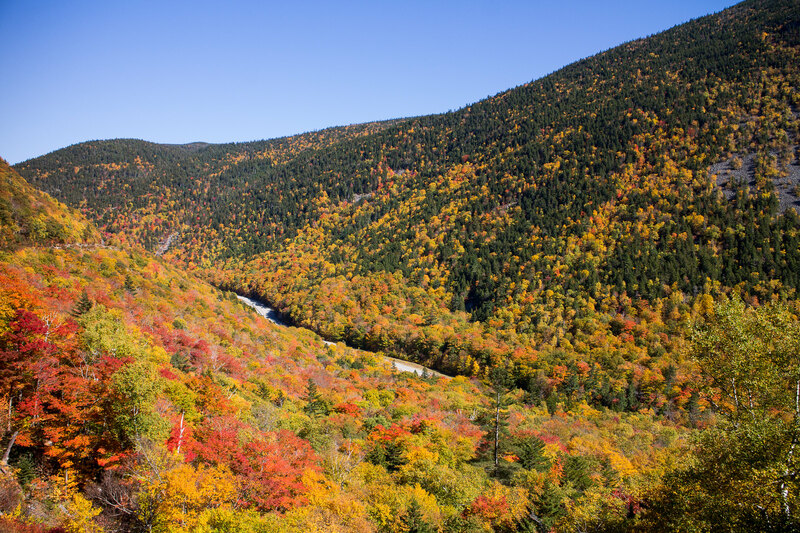 It takes around 5 hours and you travel 50 miles through the beautiful mountains and valleys of New Hampshire. 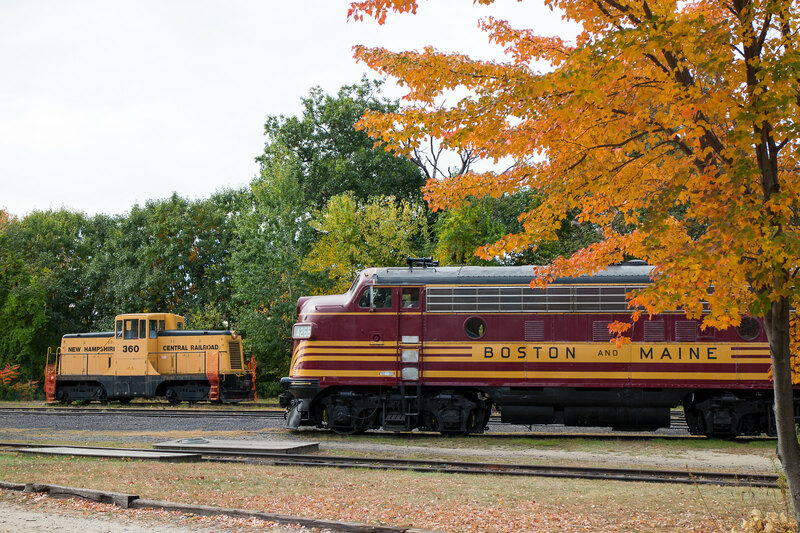 We travelled at such a great time to do a spot of leaf peeping and the fall foliage was in full force. The rich oranges, yellows and reds were honestly jaw dropping. I can’t convey how incredible the scenery was in reality, you really need to see it for yourself if you can to appreciate the full impact of it. I spent the majority of the five hours gazing out of the window and barely speaking, just to make sure I soaked up every single second of it. 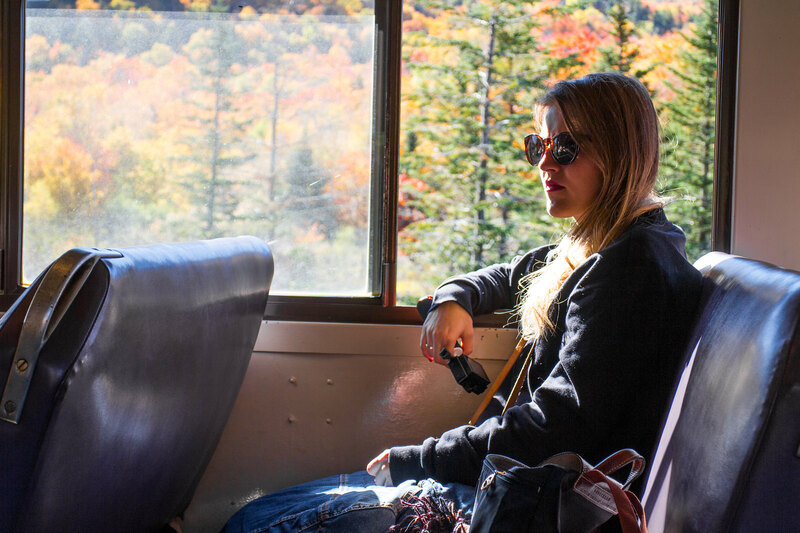 The train travels at a very leisurely pace so it’s the most laid-back and relaxing journey along the route, you might just about want to nod off! When we arrived back at the station we took some time to wander around the area and take a look at the old trains parked up. I wish this is what trains looked like in the UK, the high speed services are great, but there’s nothing quite like these huge vintage beauties. 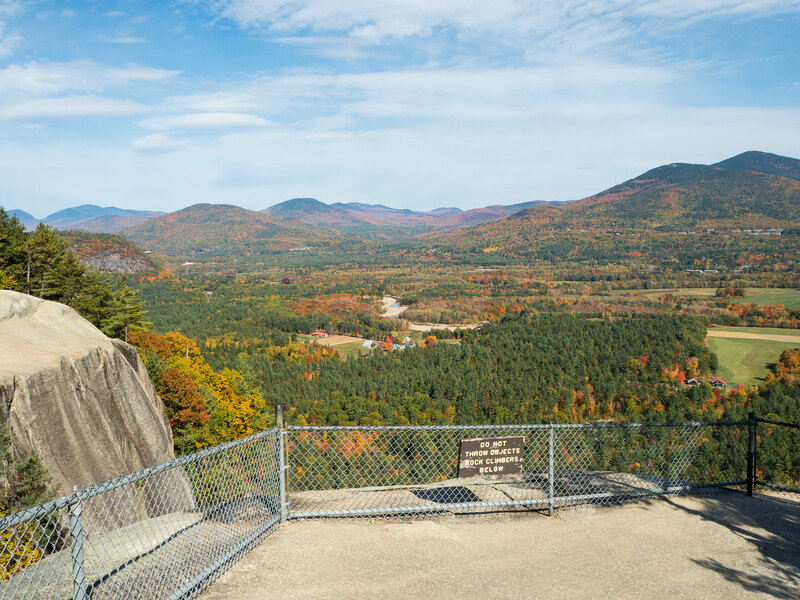 The following day, on our way out of town and on to our next destination, we decided to stop off at a little lookout I had read about online which is just outside of North Conway. 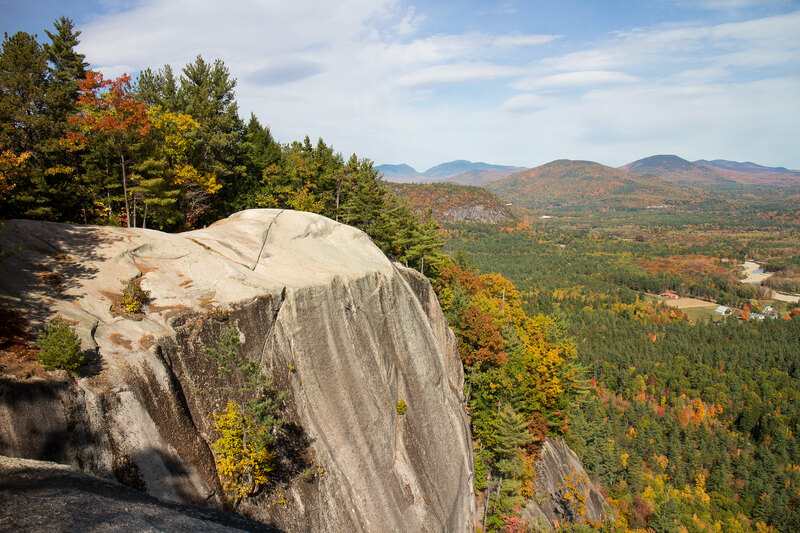 Cathedral Ledge. If you want incredible views of the mountains and valleys this is where you need to go. 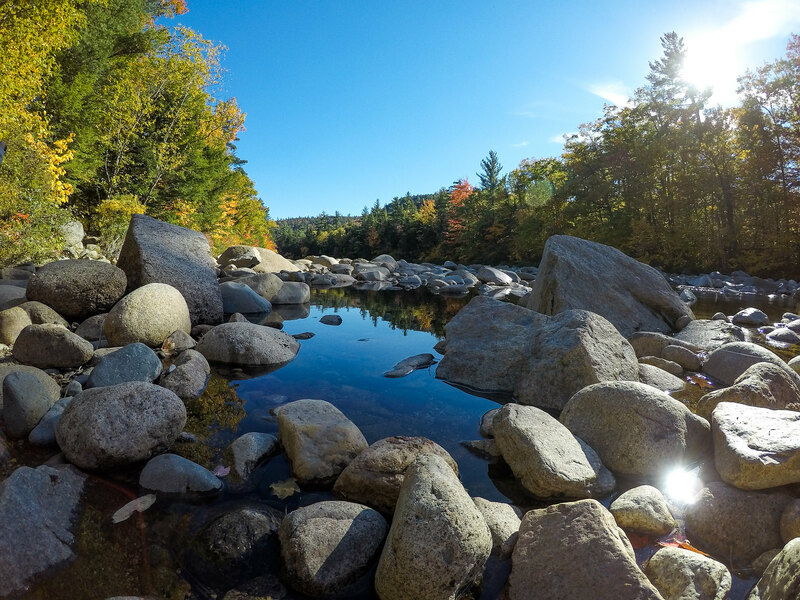 I could have perched on that rock for hours just drinking it all in. 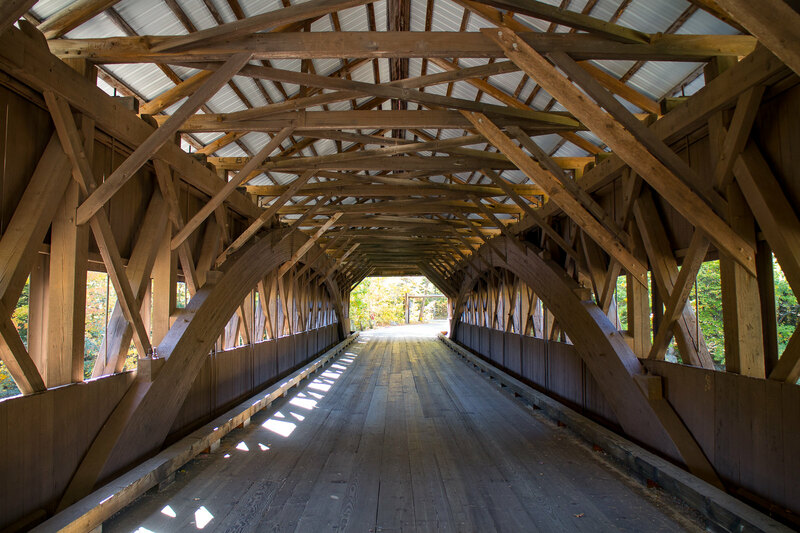 But sadly we didn’t have time to get lost for too long because our next stop was to visit two of the famous wooden covered bridges renowned for this area. I don’t really know what I was expecting but I found them so interesting and beautiful, strange thoughts about a bridge but they truly were unlike anything I’ve seen before. And obviously, being a bridge, they were set across water. It was some of the clearest water I’ve ever seen and the sheer size of the rocks was amazing. 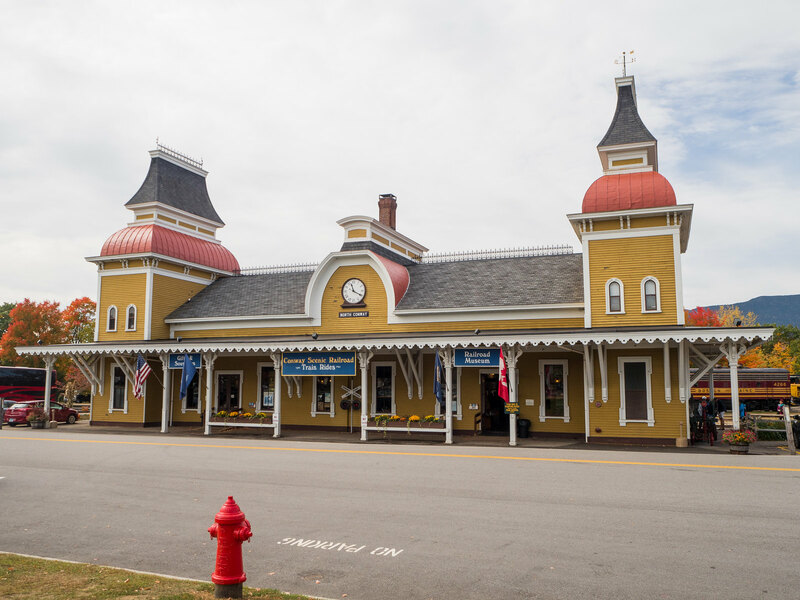 Essentially I spent every moment of our time in and around North Conway just marvelling at nature and architecture and travel from a bygone age. It was so nice to go back to basics so to speak, and it felt a world away from the busy centre of Boston we had not long left. Which was another of the wonderful parts of this trip, seeing a city hubbub followed by the sleepy pace of the great outdoors. If someone could just send me back to this spot right here for a few hours rest and relaxation that would be grand. 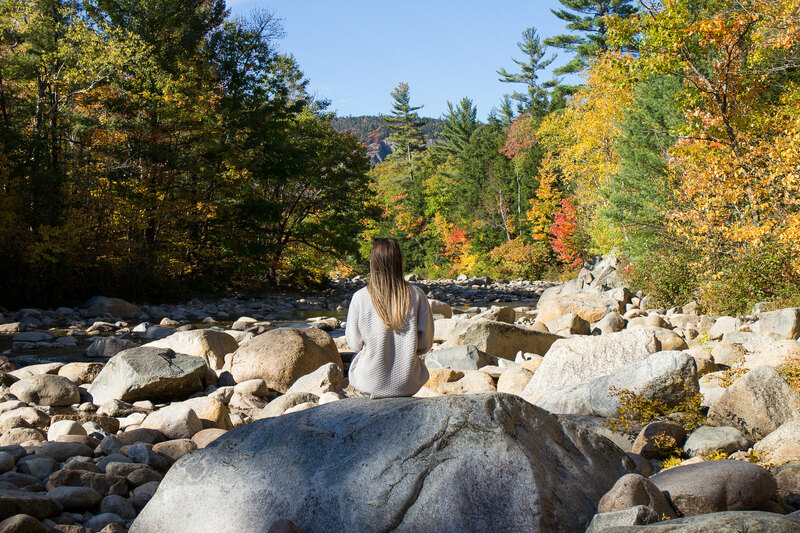 North Conway and its surrounding area was one of the most beautiful places I have ever been to and I definitely hope to go back some day which is why I think you should add it to your travel bucket list too! 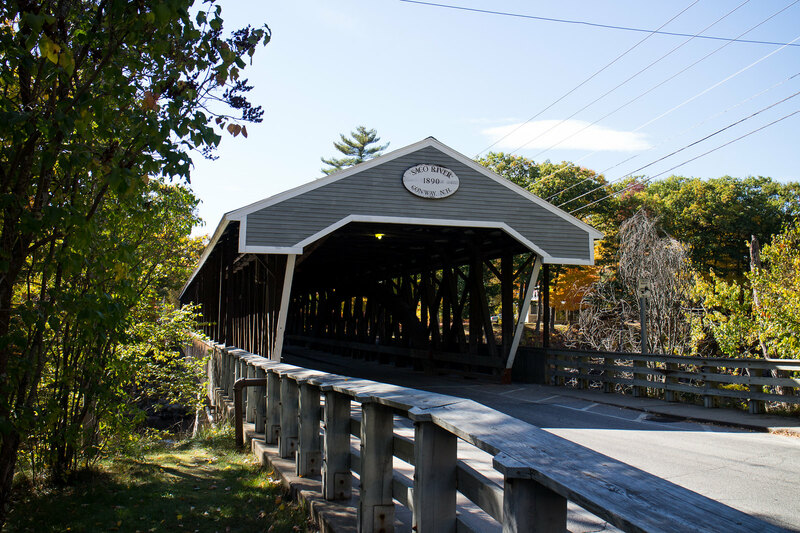 To see more of what we got up to in North Conway check out my vlogs. 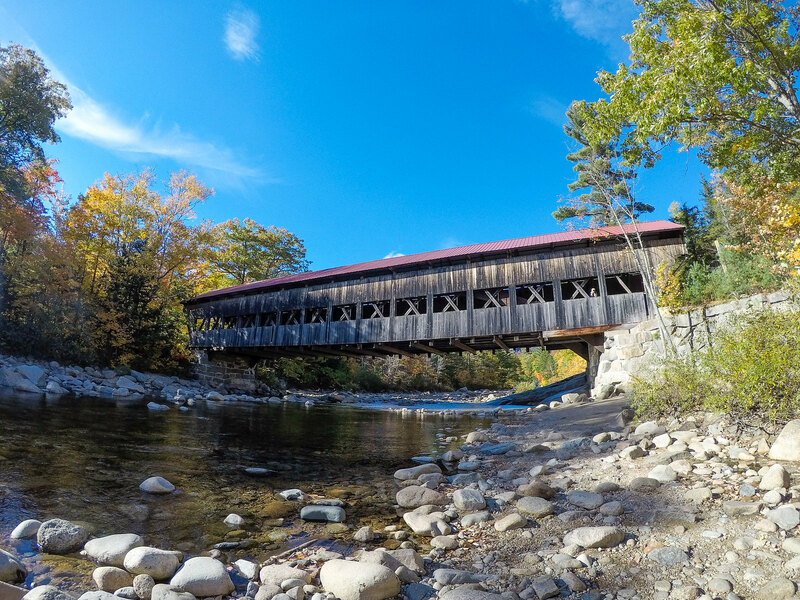 Next on our road trip we were heading off to sample the delights of Vermont so keep your eyes peeled for those adventures very soon!